DO-90309-20 was succesfully added to your cart. Labels are made up of a series of temperature-sensitive elements sealed between heat-resistant substrates with transparent windows. 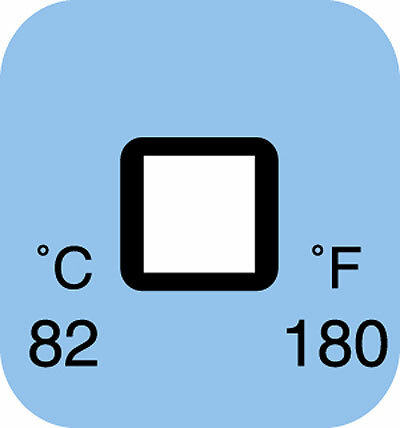 Each element changes color distinctly as its rated temperature is met or exceeded. The changes to the label are irreversible, providing a temperature history of the surface being monitored. The labels will not delaminate when removed, allowing them to be attached to an inspection report to serve as a permanent record. Ideal for use in the food, automotive, molding and metal working industries. Accuracy is ±1.8°F below 212°F and ±1°F above 212°F. Shelf life: 1 year after date of purchase.